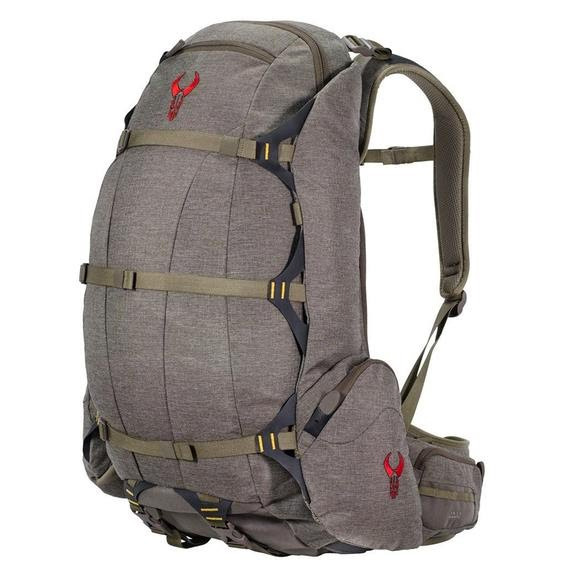 The 2200 Pack put Badlands on the map... or should we say, the backs of every serious hunter in the industry. The idea is twenty years old, yet the premise of building the ultimate hunting pack is stronger today than ever. Most companies build their equipment around pockets - a place for this a place for that. With its near perfect center of gravity, the 2200 pack works with your body&apos;s own natural ability to support weight. The T-6 aircraft aluminum frame bypasses your spine and transfers any size load down to your hips through the molded foam suspension, greatly increasing comfort and control. Yes, pockets still count, so the 2200 offers a multitude of them, letting you carry bows, rifles, spotting scopes, tripods and hydration. This is an area in which we could get super technical. We could throw words out like hydrocarbon, cross-linked bonding, elastomer and endothermic reaction but we all know we&apos;re just trying to sound smart. In reality, we&apos;ve always gone to great lengths to simply find the most comfortable way to hump exorbitant amounts of weight across extreme terrains. Our Thermo-Mold suspensions have been developed and designed over 20 years. The first years were spent baking our own molds in household ovens we purchased at garage sales and heavily altered to best suit our customer&apos;s needs. The process has evolved and we&apos;ve perfected the art of "comfortability" (not sure that&apos;s a word but it sounds good!) Our Thermo-Mold suspensions are waterproof, and resist molds, mildews and bacteria. Let&apos;s face it, you are working hard, sweating and generating all sorts of unmentionable organisms...you don&apos;t need them living in your pack.